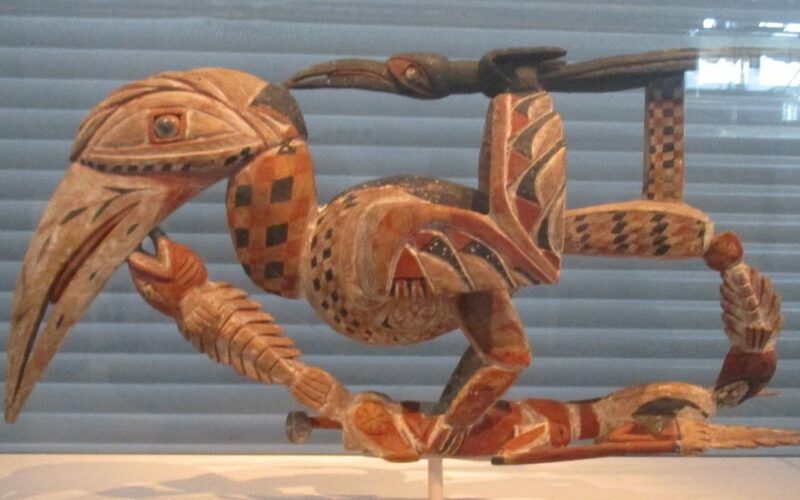 One of many intriguing carvings in the Sainsbury Centre for Visual Arts at UEA in Norwich. Here’s another, looking very bemused by it all. 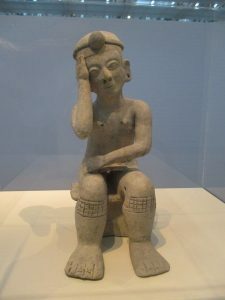 The exhibits are eclectic, to say the least: from the Pacific, the Americas and Japan – interspersed with modern artworks, making it either very thought provoking or rather confusing. Never mind, the individual items are well worth taking time over. 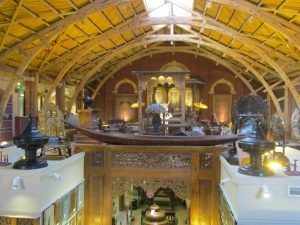 Then, a surprise in the middle of Norwich: the South Asia Collection Museum which is a wonder to behold. Housed in a building that was once a Victorian Roller Skating Rink are hundreds of works of art and craft. This photo, taken from the balcony, gives some idea of the size and layout. Most of the exhibits are from India and Pakistan; some are part of the permanent collection, some are for sale. We couldn’t leave without two beautiful pieces of fabric, a bedspread and a tablecloth. This really is something of a hidden gem. 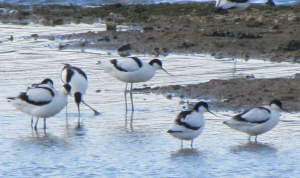 And now for something completely different – avocets on the North Cave Wetlands, just half an hour from home.